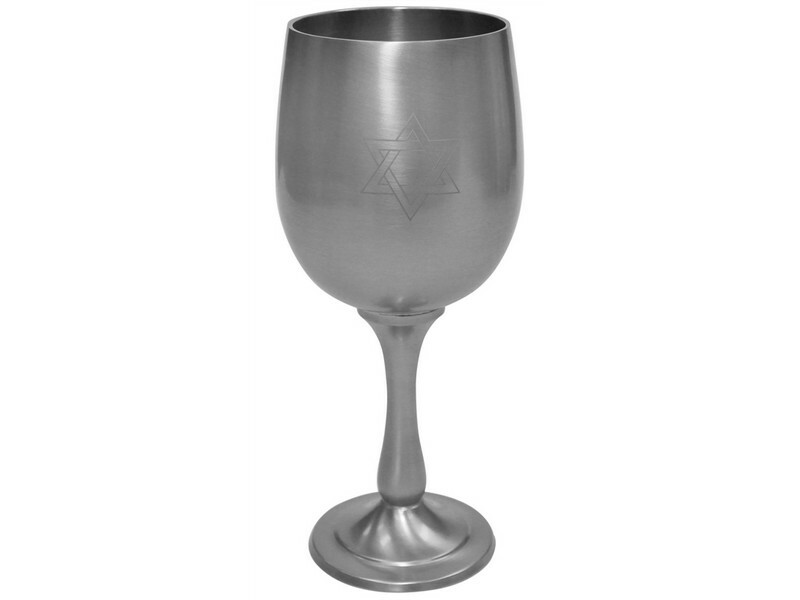 Made of pewter this Kiddush cup has a sleek and modern look. It is shaped as a goblet with a smooth, clean design. This contemporary Kiddush cup will enhance your Kiddush ceremony and Shabbat table.